Coilhouse » Blog Archive » DRGBLZ. Tastee sammich fixinz by Aaron Muszalski. Seriously, we all temporarily lost our friggin’ minds. We’re talking spontaneous collaborative lollercaust. Our sudden, inexplicable obsession (and regression) would no doubt make for a fascinating study in the viral progression of online memes for some MIT graduate student. Or not. Wrought by Candice Cardasis. Inspired by Dan Curtis Johnson. I’m sorry, world. I’m so sorry. We’ve put our disease in you, and now you’ll never be free. If you haz… er, I mean have, DRGBLZ or baLOLoon macros you’d like to submit, please email theremina [at] gmail [dot] com. Kthxbai. 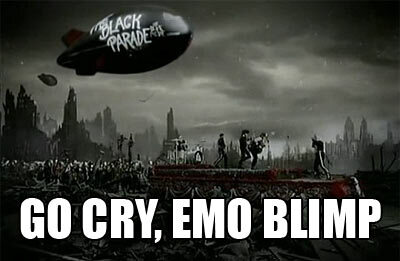 I sense fail in the air. Haha. 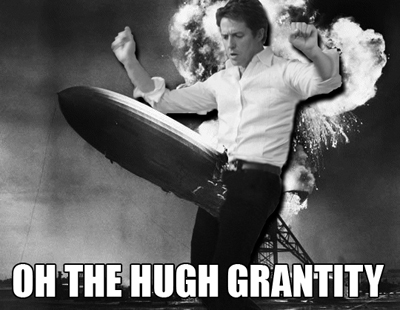 Hugh Grantity cracked me up. Hmm. I see. This is one of those things where two weeks from now I’ll be hiding in some ruins, sporting a raggedy beard and a shotgun, trying desperately to evade the DRGBLZ-crazed hordes. Ya know, I too saw SFSlim’s Flickr posting yesterday. I’m glad it wasn’t an isolated lunacy…. Meredith, I give you my submission. Everyone seemed to care that this girl couldn’t have a pony. But does anyone wonder what a little pony wants? Wow, it’s like a meme version of a bad accident, I can’t look away. …a copy of Photoshop and a stroke for everybody, I guess. No, Tincho. No, there is not. It really is just an entire group of otherwise rational, intelligent people acting totally mental. 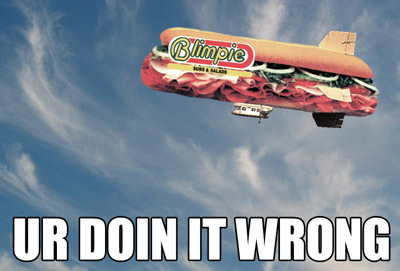 It just couldn’t end with the “Blimpin Ain’t Easy” macro and t-shirt could it? Tequila, of what atrocity do you speak? Link, please. As far as the t-shirt goes there are like a half dozen variations. 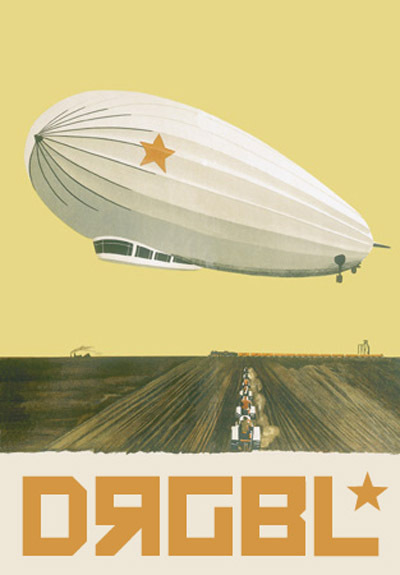 Just do a Google search for “Blimpin Aint Easy” without the ” ‘ ” in Ain’t and you’ll see em in every t-shirt site on the net.